The WordPress SEO Tutorial Date Archives article is part of a series of SEO tutorials to support the Stallion WordPress SEO Plugin and the Stallion Responsive WordPress SEO Theme. 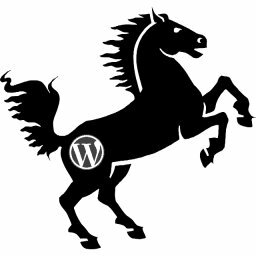 This WordPress SEO tutorial covers the Stallion WordPress SEO Plugin – WordPress Date Archives options and some Stallion Responsive Theme features related to date archives. Return to the main Stallion WordPress SEO Plugin Documentation article. Under the Stallion WordPress SEO Plugin Options : Not Index Options Tab – WordPress Date Archives. Index Date Archives – Completely SEO safe, it’s the default WordPress behavior, if you are in any doubt about not indexing date archives, use this option. When this option is set the Stallion WordPress SEO Plugin does nothing to date archives. Block All Date Archives** – This is safe SEO wise for WordPress sites with category or tag archives which are indexed. It’s important to have one type of archive (categories are usually the best SEO option) for search engines to access your WordPress Post based content. When this option is set the Stallion WordPress SEO Plugin adds a canonical URL to the sites home page on ALL date archive pages. SEO Tip : PageRank (PR) sculpting no longer works, hasn’t worked since around 2009, if you’ve read a WordPress SEO tutorial suggesting noindexing (or nofollow) dated archives it’s way, way out of date. Since dated archives have little SEO value (they waste link benefit for no Google SERPs gain) why not remove them from your WordPress front end. Most WordPress Themes won’t hard code dated archive links/widgets, so should be a simple case of visiting “Appearance” > “Widgets” and removing any widgets which create dated archives. Dated archives include the WordPress Default “Archives” widget and the “Calender” widget. If you do decide to keep your dated archives consider removing the widget from the sidebar of your Posts and Pages. The Stallion Responsive Theme includes a widget display feature which can be used to decide which sections of a site a widget should load on. For example on the sidebar in the footer on this site (you can have widget areas in non-sidebar locations) I’ve used the Stallion widget display feature on a Categories widget. The Categories widget loads on archive sections of the site (when categories are loaded for example), but doesn’t load on the valuable WordPress Posts (like this Post). Did you know some of the core WordPress widgets have a negative performance hit even when not is use? Some of the core widgets even when not active on a sidebar result in additional database queries (I was surprised when I discovered this). In the Stallion Responsive Theme there’s a feature which unregisters widgets so the unused code is never loaded. It’s advisable to setup your sites widgets then unregister those not in use : unregistered widgets means to WordPress they no longer exist, so no wasted resources loading them.